When I wrote my original response, a lot of my answers seemed to center around comments I was tired of hearing. I knew what I didn’t like, but I didn’t seem to know what I needed to hear instead. Please don’t let your first question be ‘Do/Why don’t you have a boyfriend yet?’ I would feel much more valued as a single adult and an individual in general if you didn’t make my relationship status the most important life update. Surely, you are also interested in hearing about my new hobbies or full-time job. Before I started watching romantic comedies more critically, movies definitely threatened my feeling content with singleness. They present such an ideal picture of being in a relationship that being single is no longer satisfactory. When I am feeling discontent, I also have to be careful not to indulge in songs about unrequited love. Sure, they remind me that others have found themselves in a similar situation and perhaps express my emotions more eloquently, but sometimes I allow myself to use those songs to wallow in my sadness. Friendship is not a need unique to single adults, but I think those who are single rely on or need friendship more than those in relationships do. A woman may count on her husband or boyfriend to be a date to a social event, a counselor, or a companion when trying something new and potentially uncomfortable. A single woman, however, relies on her friends not only to be friends but to serve as stand-in significant other. Single adults also need a certain sense of affirmation or validation. Sometimes we wonder if we are single because we are not [fill-in-the-blank: attractive, funny, rich, etc.] enough. We need to hear that we are valued, regardless of our relationship status. I’m sure there are others out there who have experienced something similar to my response to Part A, whether from extended family members or the church family (my sister has had pastors ask her about her relationship status when she has returned from a different state or from her mission field in a different country). I knew that it didn’t make me feel valued when people were most interested in my relationship status than almost anything else going on in my life, but what could help me feel valued other than a change of focus in conversations? I didn’t know until recently what I needed to feel valued as a single person. 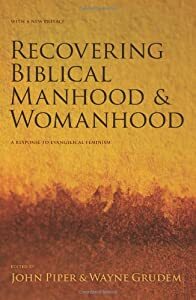 This Sunday, Kim (http://garlandhouse.blogspot.com) spoke in our young adult fellowship group at church about Biblical manhood and womanhood, and some of what she said is exactly what I needed to hear. What I learned about singleness in the Bible and about Biblical womanhood helped me to feel valued. Corrie covered some of the same information in The Purse, but it was good to hear it again. One thing Kim talked about was singleness as a high calling. In the modern Church culture, we often say, “If I can’t be married, then I guess I’ll be single.” But in his first letter to the Corinthians, Paul says the opposite! The point is this: singleness has been a noble and courageous path for ministry ever since Jesus and the Apostle Paul chose it “because of the kingdom of heaven.” It is no sign of weakness to want to be married. It is normal, and it is good. The courage comes when you sense God calling you to singleness (for this chapter of your life) and you accept the call with zeal and creative planning for His glory. Do I have the courage to accept the call to my present singleness with zeal and use this gift – Paul calls both marriage and singleness a gift – to bring glory to God? And what if God does call me to a life of singleness? Thanks to what I heard from Kim on Sunday, I am learning to view that possibility as a blessing rather than a curse. This change in perspective has allowed me to see better the value in singleness. I really appreciate Kim’s ability (even as a married woman with children) to perceive the issues with the way the Church handles single adults and her willingness to say what I wish more churches would tell their single members: you have value.